I ended up with a bit less video footage than I’d hoped during climb, especially summit night as I messed up on changing GoPro batteries. Very annoying. But I’ve pieced together the footage I do have into a short video. Enjoy! This entry was posted in The Trip and tagged kilimanjaro, the climb, video on December 12, 2015 by anniemaggiemay. Better late than never, I finally got round to writing a short(ish) recap of my Kilimanjaro trek. I flew to Kilimanjaro after spending a day in Nairobi, so I arrived at Kilimanjaro International Airport at about 8.30 am, thinking I had an hour or two to wait until the rest of the group arrived. Turned out it was actually a 4.5 hour wait, in the arrivals area of the smallest airport I’ve ever seen! 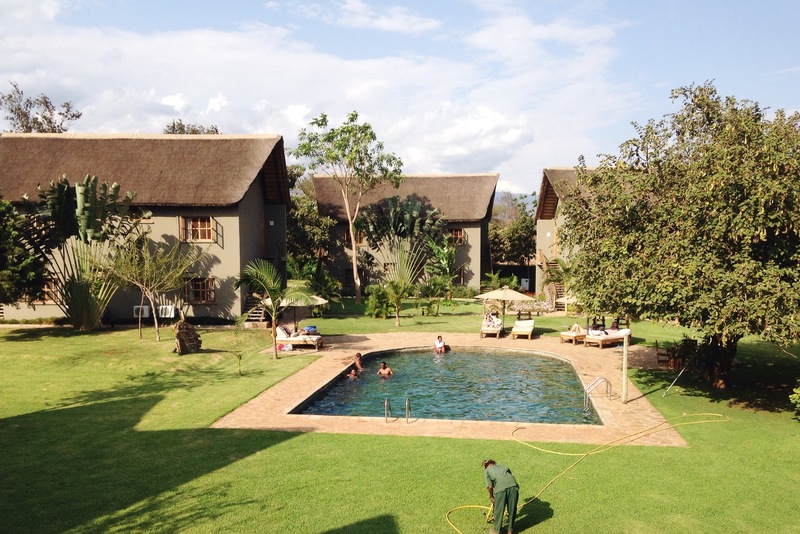 But eventually we all met up, and after a very long minibus drive (thanks to a traffic jam caused by a lorry hitting a bridge) we arrived at our accommodation, Weru Weru River Lodge, and were all a little surprised at how nice and luxurious it was! We spent the afternoon packing our bags, weighing and repacking our bags, meeting our guides at the pre-trek briefing and eating as much carb-based food as possible from the buffet. We set off around 8am in our minibus to Machame Gate, where we had a bit of a wait while the guides and porters distributed all the gear between them for weighing. We used this time with filling up water bottles, another briefing and many trips to the loo! We finally starting walking around 11am, past the ‘starting point’ sign and into the rainforest. 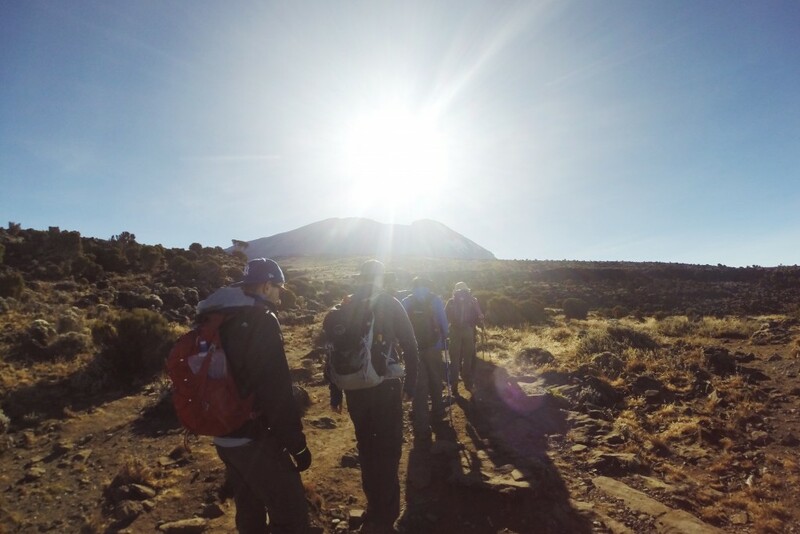 It took a while to get used to the ‘pole pole’ pace (pole pole being the Swahili phrase meaning ‘take it slow’) – it’s surprisingly difficult to walk as slowly as you need to on Kilimanjaro! 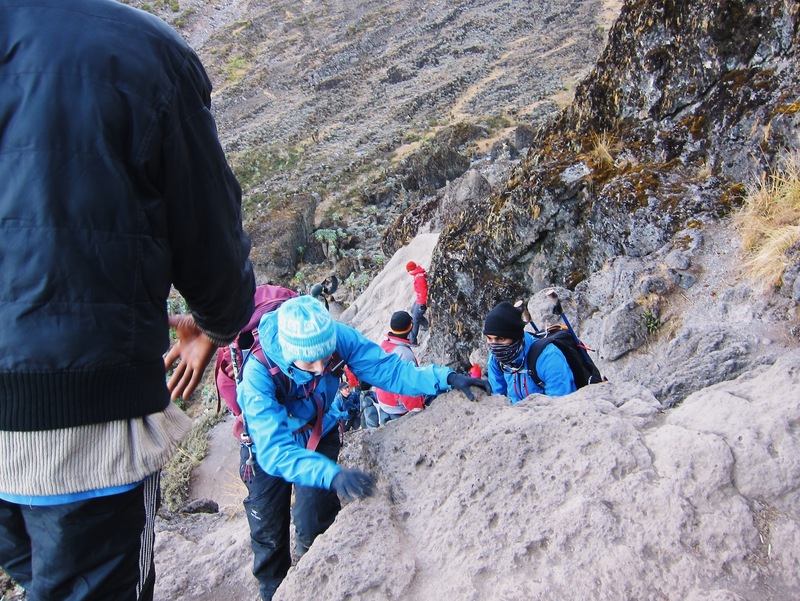 We also quickly got used to the call of ‘rafiki!’ to warn each other that there were porters on their way past, going at about triple our pace and normally balancing several things on their backs or heads. Serious respect for those guys (and girls) who do that every day. The first day of walking was relatively gentle (even if it didn’t seem it at the time) and we quickly got into the rhythm of a slow pace, reaching for a water bottle every time we heard the call of ‘sippy sippy’, and regular stops for snacks and bushes. Day two was an early start, setting off at 7am so we could get to Shira Camp by lunchtime to fit in an afternoon stroll and help acclimatise to this altitude. Day two was also the day we found out just how dusty a mountain (and tents, clothes, bags and nostrils) can get. I got through an awful lot of wet wipes throughout the day just to get my hands back to flesh colour. Apart from being dusty, the walk was a bit steeper than the previous day and very hot – for some reason I hadn’t realised it would be so warm as we ascended! I had been feeling absolutely fine altitude wise, but after stopping mid-morning for a snack and loo break, I started to feel quite lightheaded and this developed into a splitting headache. I tried to sleep it off when we got to camp but woke up feeling worse and struggled to lift my head off my pillow bag of clothes – luckily though, my bladder got me up and I decided I would join the group going on a little extra hike. This was the right decision as the short hike completely cleared my headache and also provided some beautiful views of Mount Meru and the landscape at dusk. The day started with porridge, same as every morning… We set off nice and early to reach Lava Tower by lunchtime. The route was starting to get steeper by this point, and I decided I would stick to the back of the group and take it slowly. Several people were starting to feel the effects of altitude by this point, and after the previous day’s headache I didn’t want to take any chances. The added benefit of this was walking with Sandra, the group doctor who had to stay at the back of the group and who was absolutely full of hilarious stories. We got to Lava Tower for lunch, to find our mess tent and toilet tents there ready and waiting for us. As this was by far the highest we had been so far at 4700m, we stayed there an hour or so to acclimatise and then continued. Then came the bit I had been secretly dreading – the downhill. As the Machame route follows the philosophy of “climb high, sleep low”, I knew there would be some downhill sections on the way up, and I knew that my dodgy knee probably wouldn’t enjoy them. So I took my time and again stuck to the back of the group, really not enjoying myself as I was petrified of damaging my knee before getting to the summit. Then it started to rain and basically the whole afternoon was just not much fun for me!! It was a relief to get to Barranco camp, where we had a wonderful view of Moshi below and of Barranco Wall, our challenge for the following morning. We also discovered how true it is that the weather can change in an instant on the mountain, with clear skies one minute, rain and wind the next and then back to a lovely starry night. We had a very early start on our fourth day, meaning up at 5am and walking by 6. 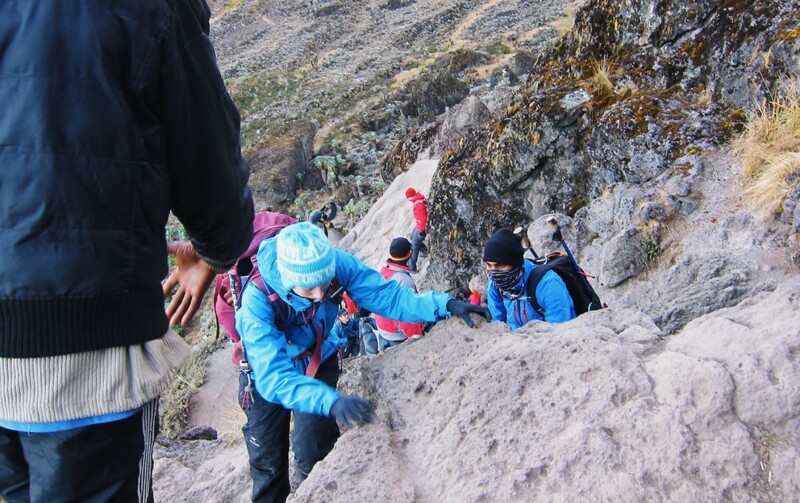 It didn’t take long to get to the base of Barranco Wall, which is the most ‘climby’ section of the hike where we had to use our hands to clamber up some steep sections. I found this bit great fun, and as we had set off so early we had the path to ourselves and before we knew it we had reached a plateau at the top, where we stopped for some group photos and more snacks. Then came another downhill, right down to the bottom of Karanga Valley. Again, I took my time on the downhill and ended up a little way behind everyone else, but they waited for me at the bottom before we started back up the other side of the valley. This was quite a steep climb and seemed to take forever, but our reward at the top was our mess tent and a delicious lunch at Karanga Camp. This is the camp that anyone doing the slightly longer hike will stay at overnight, but we just stopped for lunch and then set off to Barafu. At this point it started raining again and the next couple of hours were a pretty miserable plod through the rain. It was a good reminder of how lucky we had actually been with the weather, as it could have easily rained a lot more than it did and we would have all been miserable all week. We plodded on in our soggy clothes though and thanks to the open terrain we could see Barafu Camp in the distance long before we got there. We got into camp around 4pm and had a quick snack and then a summit night briefing before getting our kit ready and eating some dinner. Then it was bed by 7pm to try and grab a few hours of sleep. After a pretty sleepless few hours we were woken at 11pm and tried to force down some breakfast (/dinner?) before setting off at midnight. The pace on summit night was even more ‘pole pole’ than the rest of the hike as we were ascending more steeply and obviously at a higher altitude. It took about an hour just to get to the edge of camp, as Barafu is such a long spread out camp. A lot of the rest of summit night is a bit of a blur, apart from the fact my hands, toes and nose were numb with cold but the sky was so clear and the moon was so bright that we barely needed head torches. A couple of hours into the hike I started getting bad pains in my back, which wasn’t ideal, so one of the guides, Eric, kindly offered to carry my rucksack for me. My main focus was on counting down to sunrise, which I knew would bring with it warmth and extra energy, and on the zigzag path I found my heart dropped a little every time I turned back toward the East and the horizon was still dark. Eventually though, the sky began to turn orange, which created a breathtaking scene as the light started to spread over the immense African plain. At this point we turned a corner to see our group of guides offering out cups of tea; even if it’s not something I normally drink, that sugary tea was a lifesaver! From then on it wasn’t long before the sun was up and we started to regain feeling in our fingers at toes. Now seems a good time to mention how lucky I was with the altitude. Apart from my second day headache, I barely felt any effects of altitude – I think I had seconds at every meal and didn’t really experience any shortness of breath. Others in the group weren’t so lucky, with most people experiencing either loss of appetite, upset stomachs, headaches or breathing problems. This meant that for me, my main problems were the cold, my knee and my random sore back. As we got nearer to Stella Point, which is just below the summit, and the path got steeper, my back was so sore I was pretty much in tears. But knowing there was only another 45 minutes or so to the summit, I downed some ibuprofen and we set off on the last leg. By this point it was fully daytime and the views of the glacier and the crater rim kept us going until suddenly we could see the summit sign! I won’t go into detail about the next few hours because it was pretty awful heading downhill. But let’s just say that most of the group got back to Barafu Camp about 2 hours before I did and I could have happily never walked anywhere ever again at that point. But, we had lunch at Barafu and then packed up our stuff and carried on down to Millennium Camp, our last camp of the trip. After a lovely sunrise and some breakfast we gathered with all our guides and porters for a last singsong and the presentation of tips, which we all contributed to as a thank you for all of their hard work looking after us throughout the trip. Then it was time for the last hike down to Mweka Gate. We got some amazing views of the rainforest, the town below and even saw some Columbus Monkeys in the trees. This to me seemed like the longest of any of the days, and it was the most amazing feeling when we finally heard in the distance the singing and general noise coming from the gate. We had a bit of waiting time while we were signed out of the park so after making the most of the running water, we all went through our kit bags and donated any spare kit we could to our guides and porters. This is really helpful as warm clothing and kit can be expensive and hard to come by, and it was a great way to give something back after all they had contributed towards such a great week! On the way back to the hotel we stopped for lunch at an outdoor restaurant, which was lovely but I think we all really just wanted to get back to shower. Which we eventually did, before our celebration dinner at Weru Weru River Lodge in the evening where we received our certificates and indulged in some well-deserved beers! For more photos I have made an album on Flickr, and there should soon be a video up on YouTube as well. 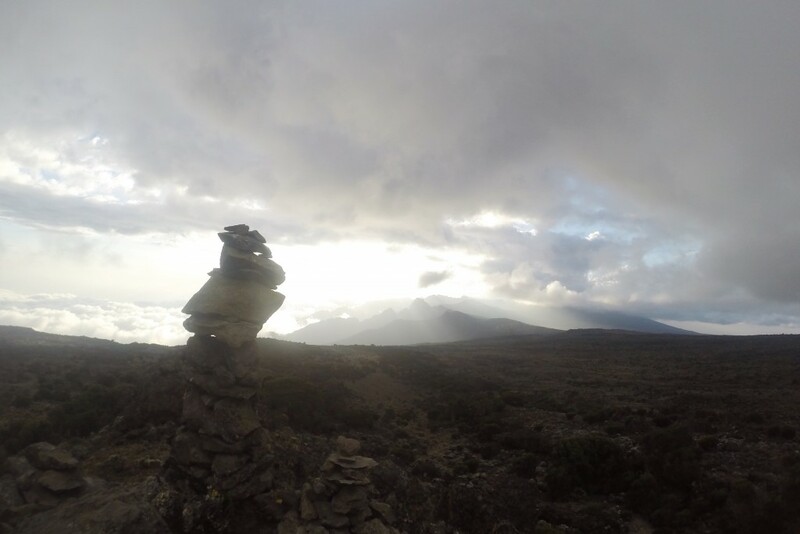 This entry was posted in The Trip and tagged kilimanjaro, Summit, tanzania, the climb on December 5, 2015 by anniemaggiemay. 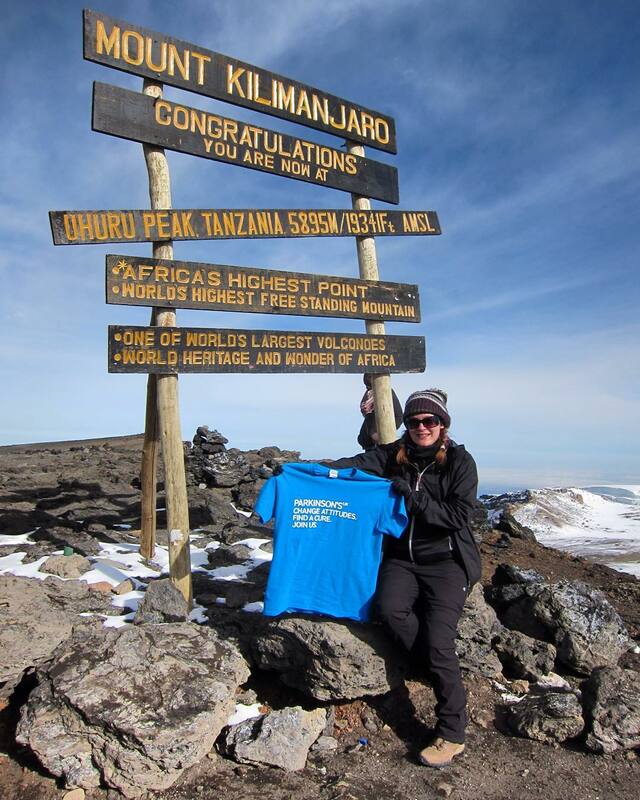 Happy to report that I made it to the summit of Mount Kilimanjaro at about 8am on Thursday 1st October! This entry was posted in The Trip, Uncategorized and tagged Summit, the climb on October 4, 2015 by anniemaggiemay. 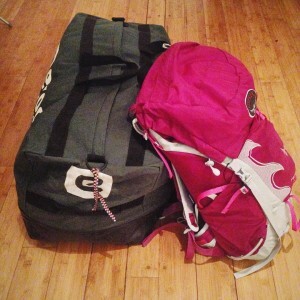 Kilimanjaro Countdown: 1 day to go! Tomorrow is the day I head to the airport – after nearly a year of planning I feel like the last few months have gone by in a blink and suddenly it’s here! I started a new job a few weeks ago so it’s been a bit of a whirlwind between learning the ropes there and getting everything ready for Kilimanjaro. Luckily, the office is on the fifth floor so I’ve had plenty of stair climbing practice – I think I might be the only one in the office who was a bit glad that the lift has been broken for the past few weeks! But I’ve triple checked the kit list and between the many lists I have going it seems improbable I could have forgotten something important (fingers crossed). Guess I’ll find out soon enough! This entry was posted in Uncategorized and tagged countdown, planning on September 23, 2015 by anniemaggiemay. 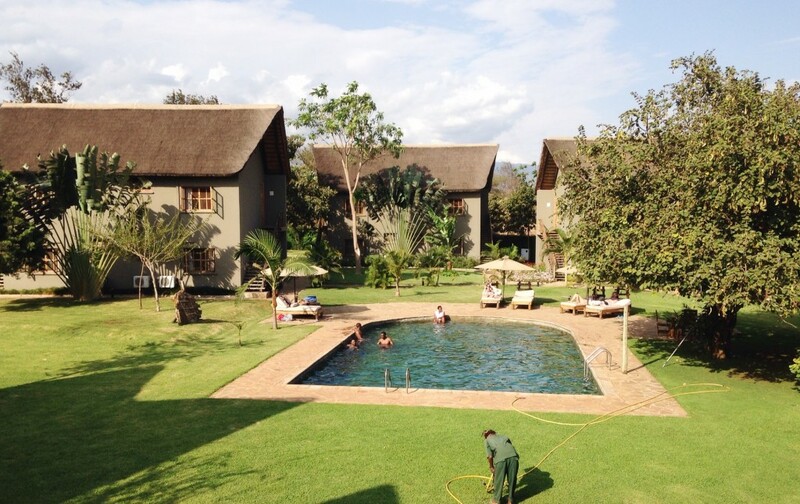 Kilimanjaro countdown: 3 days to go!! That’s 3 DAYS until I fly to Nairobi, and 6 until the climb starts. I think I may repack before I leave just to triple check I have everything, especially as I am still purchasing various bits and pieces – nothing like last minute hey? But at least the majority of my stuff is nestled safely in my bags ready to go. This entry was posted in Clothing & Equipment and tagged countdown, diet coke, packing, planning, update on September 21, 2015 by anniemaggiemay. I had to renew my passport last year (getting old!) and I was a bit sad as my last one contained two Working Holiday visas, something I imagine is not likely to happen again. But fear not, I’ve embarked on the exciting task of filling up my new passport, starting with a Tanzanian visa. 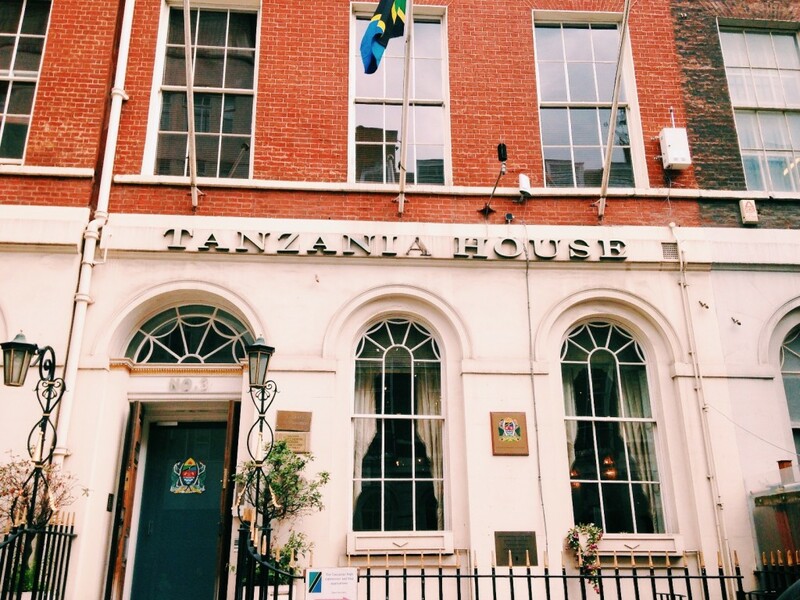 You can get a Tanzanian visa on entry at the airport, but as I work not far from the embassy (it’s actually a High Commission, I’m not sure what the difference is) I decided I may as well get it in advance. So I popped over there on my lunch break to drop off my passport – which took about 15 minutes including a 14.5 minute wait. Then 3 days later I popped back to get it, which took about 90 seconds. I was quite surprised how fast the process was, but that is maybe because I compare every embassy experience with the horror of the American Embassy a few years ago. I will also need to get a Kenyan visa as I’ll be there for longer than 12 hours. Apparently you can no longer get a Kenyan visa on entry as they have switched to an e-visa system. I’m halfway through filling in the online form, and I think it’s then a case of taking a print out of the email confirmation to show at the airport. To me that’s not actually an e-visa, but a great way to cut down on printing costs at the Kenyan embassy by having everyone print their own visa! I’m working my way through my list of Kilimanjaro-related tasks so visa is definitely a good one to tick off. Up next – jabs & medications, and to finalise my packing & shopping lists! This entry was posted in Clothing & Equipment and tagged kenya, planning, tanzania, visa on September 6, 2015 by anniemaggiemay. Fundraising has slowed down a bit recently, although I have had a lot of promises of sponsorship which I think will appear closer to the time. I may try and fit in another cake sale or something in the next few weeks. And in terms of preparation for the climb, I’m in the process working my way through a very long shopping list… I keep finding myself drawn to any outdoor shop I walk by – especially if it has a Sale sign in the window. I think I underestimated slightly how much all this mountain gear would cost so I’m happy for firstly the 15% discount at Cotswold Outdoor, and that I work near Lillywhites where there is a great outdoor section. I also managed to spend a small fortune in Boots recently on things like water purification tablets and wet wipes and there is still plenty more on my shopping list! I am very much a list-maker so I currently have several lists going – packing list, shopping list and a few to do lists – enough to keep me occupied for the next few weeks! This entry was posted in Clothing & Equipment, Fundraising, Training and tagged countdown, planning, trainingplan, update on August 26, 2015 by anniemaggiemay. From the dauntingly long Kilimanjaro Trek kit list that we were provided with, the only things that I already owned were some base layers and a windproof soft shell jacket from skiing and running. Apart from those and my Meindl Toronto boots I bought back in February, I’ve pretty much had to start my mountain wardrobe from scratch. I’ve been making numerous trips over the last few months to Cotswold Outdoor, which is just round the corner from where I work, and thanks to Discover Adventure I also get a 15% discount there – very handy indeed! So I now have most of the basics, and having tested them out a couple of times, I am quite confident that they were good choices (although I guess this can only be confirmed at 3am on Kilimanjaro summit night). 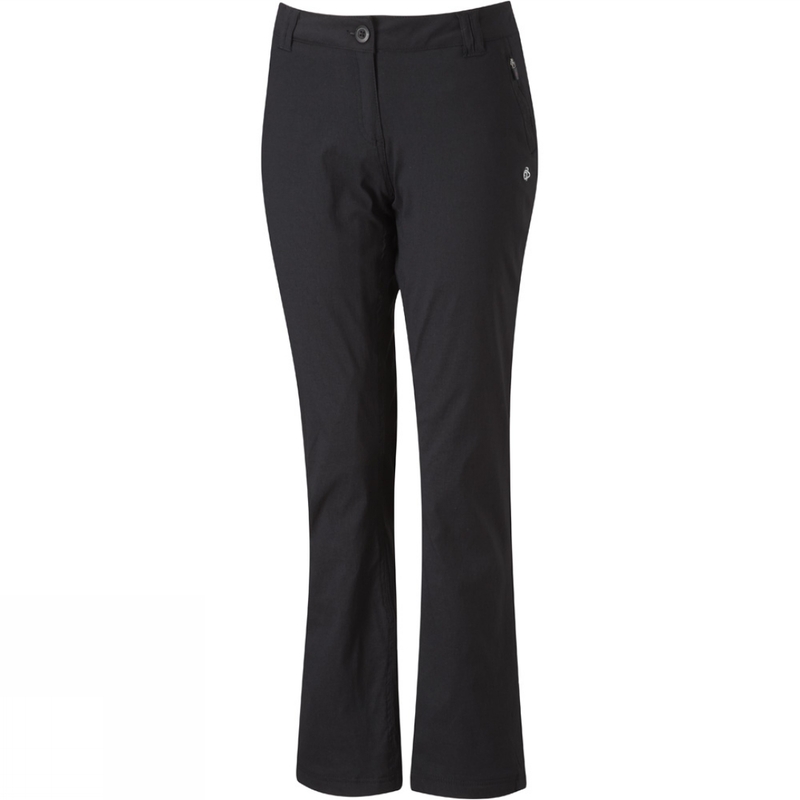 The trousers I decided on are the Craghoppers Kiwi Pro – I first bought the fleece-lined winter version and liked them so much I also bought the unlined summer version. Compared to other trousers I tried, these have a much more flattering fit and none of those zip off knees that I’m just not sure I could pull off. 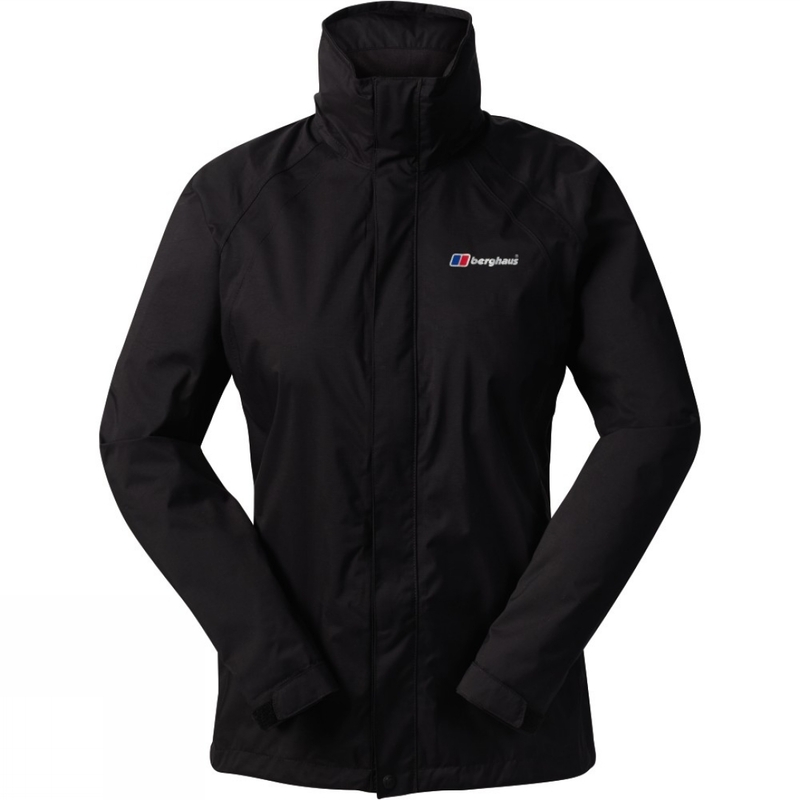 I got a bit confused by all the advice on waterproof jackets, and first off I bought one of those 3-in-1 waterproofs from The North Face with a zip-in inner jacket. But then I got it home and realised how annoying and pointless it is to keep taking out the inner jacket, so I returned it and went for a Berghaus Calisto Delta jacket, which is a more basic waterproof outer jacket that can be worn with as many fleeces and warm layers as I like underneath without have to attach any of them. I’ve worn this a few times already and can confirm that it is indeed waterproof. And finally, the day pack. I figured this is one thing (along with socks) that can make or break comfort levels during the trek, so I didn’t want to borrow one or scrimp too much in this area. 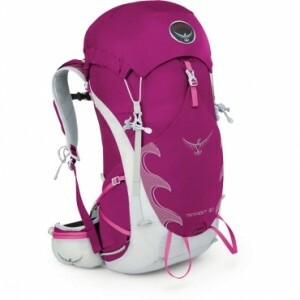 I went for the Osprey Tempest 30L in a rather bright shade of pink (safety first, don’t want to be invisible if I get lost on a mountain!) and it seems to be a good choice so far. It’s a specific women’s shape so fits better over the chest and hip areas, it’s lightweight and has lots and lots of handy pockets I did find after Snowdon that my collarbones were very sore by the end of the day, but I think that’s due to them being exceptionally bony rather than a fault of the bag (and possibly due to the fact I was carrying two bottles of champagne in the bag). I didn’t have the same problem for Ben Nevis so hopefully it will be fine! There are still a worrying number of items left on my shopping list that I will need to get over the next few weeks, the most important being a sleeping bag… I’ve been putting that off as I’m not sure where to start and it seems like a big investment for a week long trip – on the other hand, the idea of borrowing or renting a sleeping bag does not really appeal! This entry was posted in Clothing & Equipment and tagged boots, cotswoldoutdoor, Craghoppers, gear, meindl, Osprey, shopping on August 17, 2015 by anniemaggiemay. 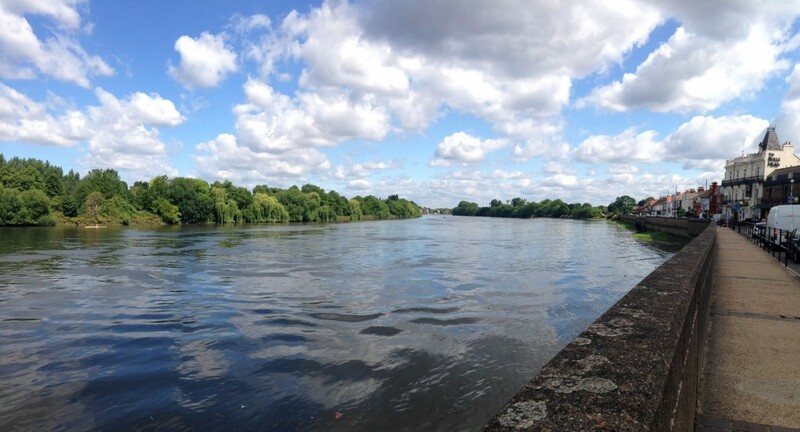 I have had a few lovely walks along the River Thames near my house, the most recent being a 15km round trip to Barnes a few weeks ago. While it was a lovely walk it didn’t really feel like proper training as it was too easy and flat! I walked almost as far as our Ben Nevis round trip, but in about a quarter of the time. My phone ran out of battery near the end so didn’t track the whole walk, but it was about 14km with about 300m elevation gain. Unfortunately I got shin splints during the walk (I think from the downhill at the beginning) and they were really painful for nearly a week after but fine now. I’ve only ever had shin splints from running before and I hope this was a one off! 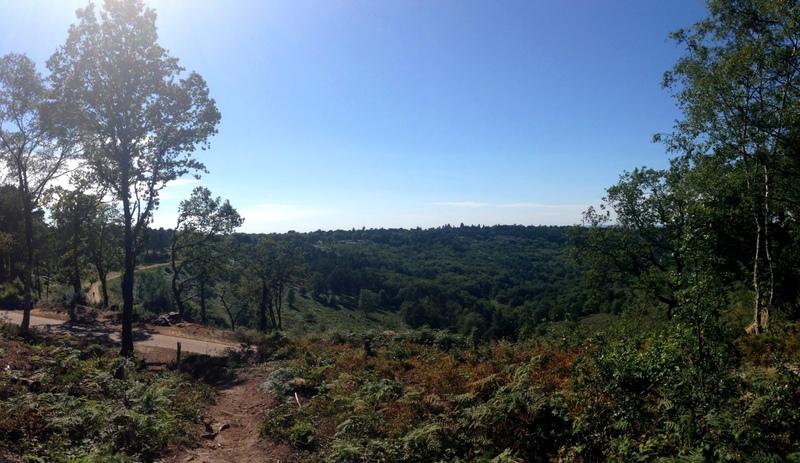 This entry was posted in Training, Walking and tagged devilspunchbowl, riverwalk, thames, walking on August 9, 2015 by anniemaggiemay. Over the last few months I’ve spent an awful lot of time browsing every corner of the internet for tips for climbing Mount Kilimanjaro, blogs on other people’s experiences, and some very detailed packing lists. My head is now swimming with all sorts of facts, advice, tips and a few horror stories (mainly toilet related…) that I’m trying hard to forget. Kilimanjaro is a volcano. In fact, Kilimanjaro is three volcanoes; the three volcanic cones are Kibo, Mawenzi and Shira. Uhuru Peak is on the rim of the highest, Kibo, which is the only of the three that is dormant and not extinct, and technically could erupt again. 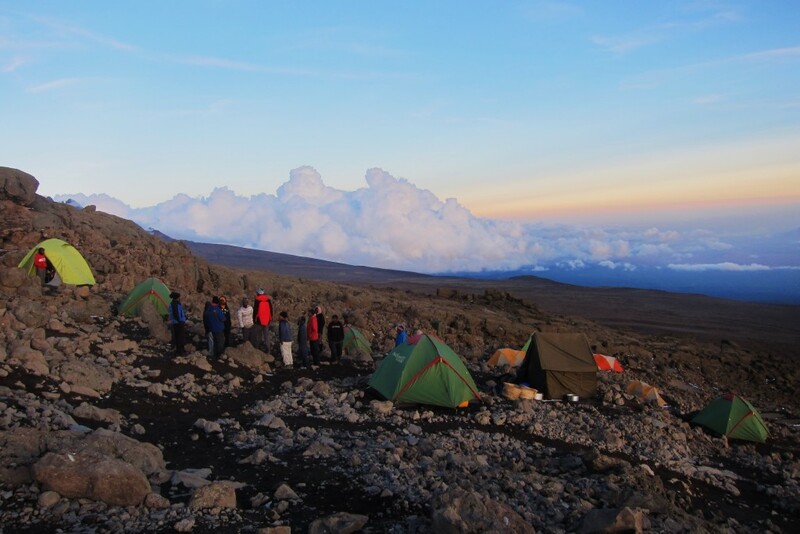 Kilimanjaro is the highest mountain in Africa and the highest freestanding mountain in the world. It appears from the Internet that there is no consensus on the meaning of the name Kilimanjaro. The locals don’t actually have a name for the mountain as a whole, just for the peak at the top (I may find a different story when I get there, who knows). Uhuru means Freedom in Swahili. The record for the fastest ascent and descent is currently held by Karl Egloff who ran up and down the mountain in a ridiculous 6 hours, 42 minutes and 24 seconds in September 2014. There’s also a very good video on YouTube of the previous record holder, Kilian Jornet, setting his record in 2010. The rainfall and snowfall on Kilimanjaro is reducing over time, which has caused the glaciers to shrink by 80% between 1912 and 2011 (not global warming’s fault). In 1889, Hans Meyer and Ludwig Purtscheller were the first to reach the summit of Mount Kilimanjaro. (I am slightly sceptical about this last fact as I imagine that at some point since time began, some locals may have climbed the mountain, but let’s go with “first recorded summit”). 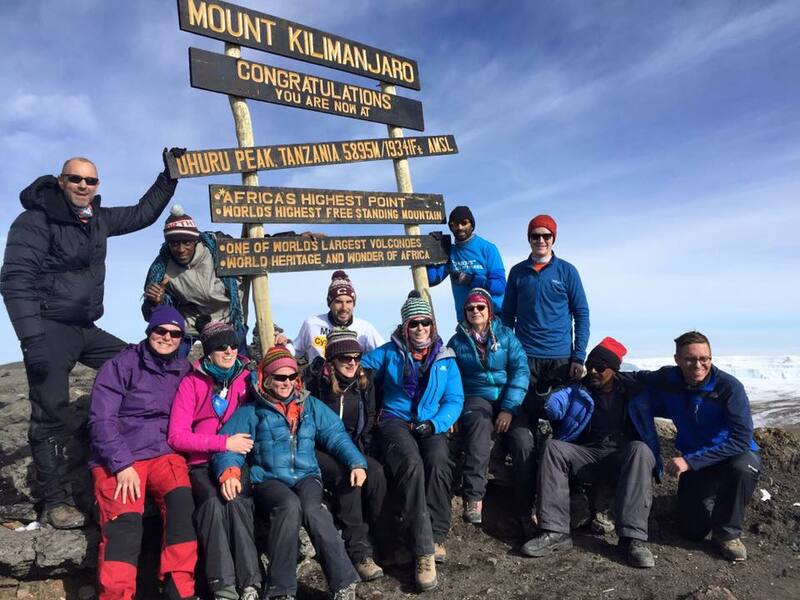 This entry was posted in Kilimanjaro Info and tagged interestingsfacts, kilimanjaro on July 30, 2015 by anniemaggiemay.